hink you’ve been spending too much on your Café Latte from Starbucks? Modern coffee-chains like Starbucks might be an expensive place to drink coffee. 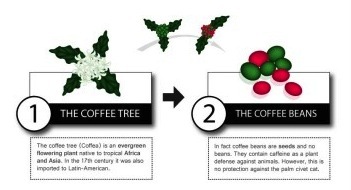 However, the prices for its coffee beverages are moderate when compared to kopi luwak coffee from Southeast Asia. 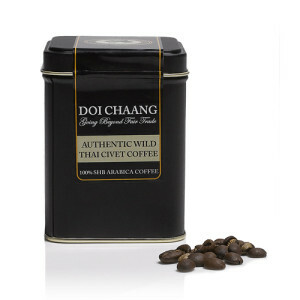 You may have heard that kopi luwak, also called civet coffee, is the most expensive coffee in the world. 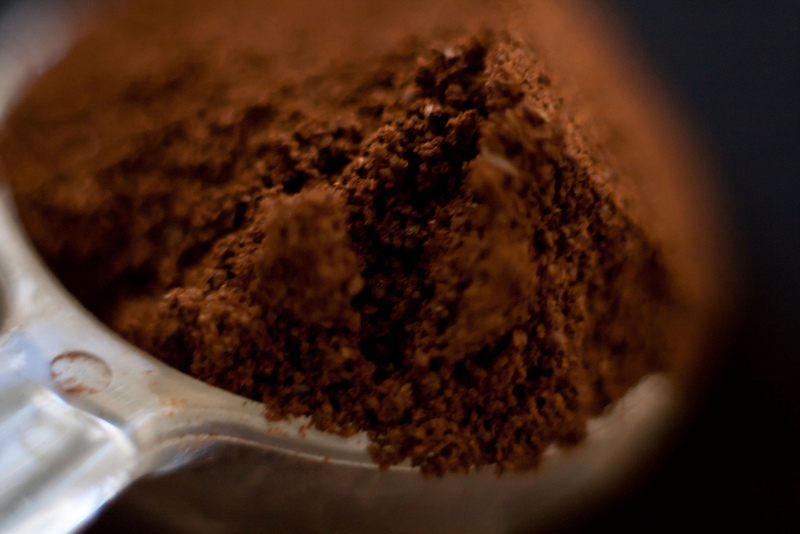 One cup of this special coffee may cost $30 – $80, and just one pound of it will squeeze at least $100 out of your wallet. This extremely expensive coffee became famous after being featured in the movie “Bucket List” with Jack Nicholson and on the Oprah Winfrey Show. But what is so special about it? 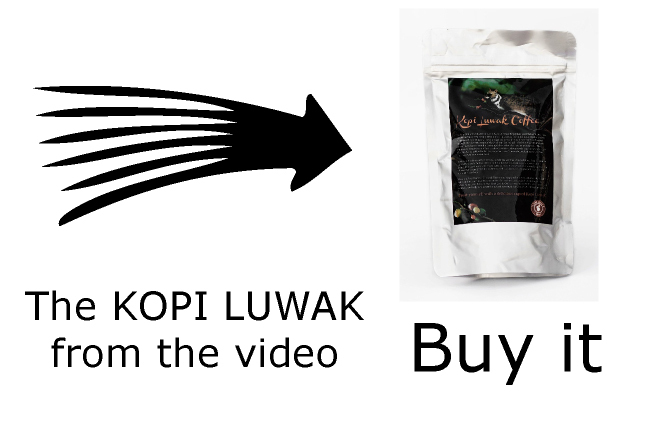 What is kopi luwak/civet coffee? 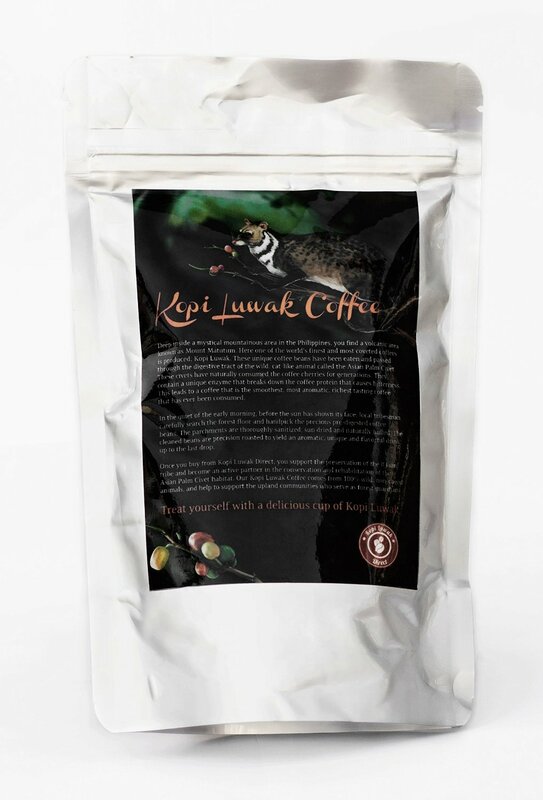 Kopi luwak is not a coffee species like Arabica Coffee or Robusta Coffee. 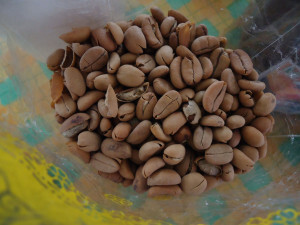 In fact, kopi luwak coffee can consist from coffee beans of all species; Arabica and Robusta are simply the most common. 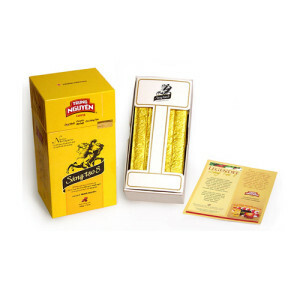 Its name indicates the special coffee processing that made it so famous. 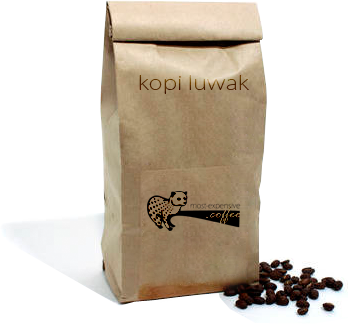 “Kopi” is the Indonesian word for coffee and “Luwak” refers to the palm civet cat that eats and digests coffee beans. 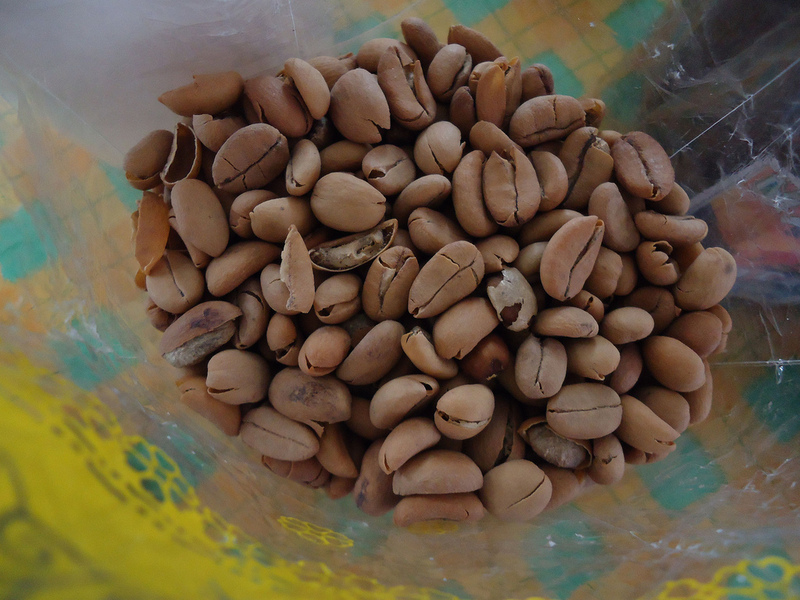 These digested coffee beans are used for kopi luwak coffee. First, this may sound disgusting and unsanitary. 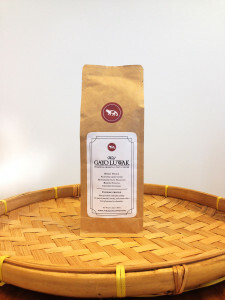 However, drinking kopi luwak coffee is as harmless to your body as drinking any other coffee variety because the coffee beans are washed, roasted and brewed before they land in your coffee cup. 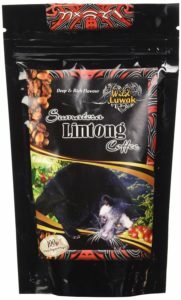 The kopi luwak processing is very unusual, but why is this coffee so expensive? Kopi luwak is produced mainly in Indonesia, Philippines and Thailand. 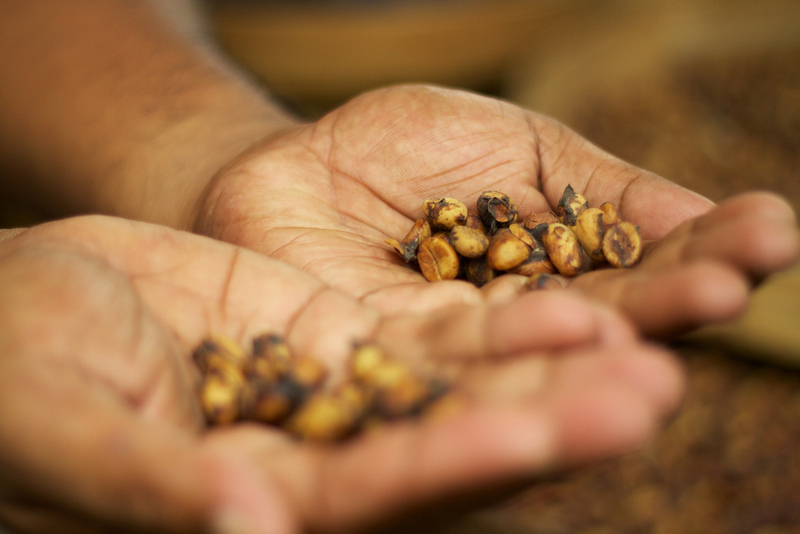 Annually about 500 kg, or 1100 lbs of beans are collected from wild civets. Demand rose dramatically in the past year, but the supply from wild civet cats is limited. This is the reason civet farming became popular in the last few years. 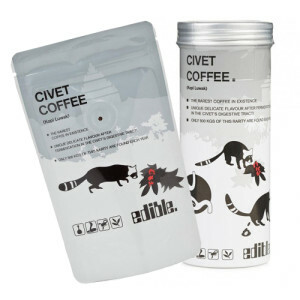 It is estimated that about 50 tons of kopi luwak coffee is produced annually in civet farms. That is not necessarily a bad development, but it’s not as simple as that. Conditions in civet farms are often very poor. The animals are caged and forced to feed on provided coffee beans from bowls. 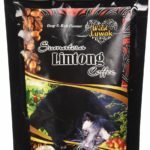 Moreover, these farms produce inferior kopi luwak coffee because the civets can no longer select the ripest and highest quality coffee beans, as they do in the forest. This is the reason we decided to build this website. 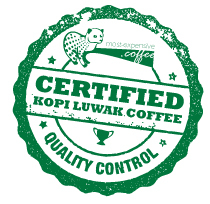 Our goal is to indentify and label ethical producers of wild kopi luwak coffee.